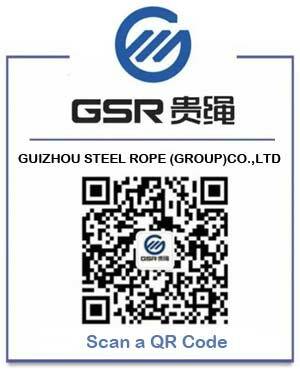 Guizhou Wire Rope Incorporated Company is one of the largest enterprises specialized in producing steel wire rope in China. It is located in Zunyi city. It was in the shanghai stock exchange market. The main machines were imported from Germany, Japan and Italy. And the main products are steel wire rope, PC strand and steel wire. The capacity is 400,000 metric tons every year. With more than 40 years’ producing and technique experience, the enterprise has excellent production machine, advanced production technique and perfect Quality control system. The enterprise can supply all kinds of structure wire rope, PC strand, sales steel wire and pre-stressed wire rope, PVC coated wire rope and wire rope sling. The enterprise has superiority in production for the extra big diameter, extra long length, special structure and special use wire rope. The “JULONG” brand round strand, shaped strand, linear contact and facial contact etc bright and galvanized steel wire rope, galvanized spiral strand, PC strand, Bead wire, spring wire and ACSR wire etc. products has been used widely in Mining, oil, transport, bridge, Oceanographic engineering, port machine and military etc. Some high difficulty products has been used in Ge Zhou Dam hydro-junction project, Three Gorges power plant, Bao steel, Guangzhou humen bridge, Baling river bridge, Huatianlong large-scale fishing crane ship, Antaibao mining, Guangzhou international convention center, Space engineering, Marine oil drilling and Famous tourist area manned rope way etc. The products has been exported to USA, UK, Canada, Australia, Denmark, Netherlands, Singapore and Middle East etc. countries and area according to the advanced international standard. “Quality is life” is the policy of the enterprise. With technique development, the enterprise improves the quality and meets the requirement of the customer. The customers satisfy the quality of the products for many years. The “JULONG” brand is Chinese National Famous Brand. The “JULONG” brand steel wire rope is Chinese top brand products and has become customer satisfied products for 5 times. The enterprise has got certificated by quality associations such as CCS, LR, DNV, BV, GL, KR, API, ISO9001, ISO10012, ISO14001 and GB/T28001. The promise of all the employees of the enterprise is that we will make our best to meet the customer’s requirement and get the development during the cooperation with the customer.